When it comes to residential point of entry water treatment, homeowners seem to be on one side of the fence or the other. They either swear by water softeners or they believe they are not necessary and a waste of money. The truth is, water softening provides a multitude of benefits, some of which actually save the homeowner money in the long run. Very few areas of the country have soft water. In fact, the water in most areas is so hard it damages pipes, appliances and clothing. Municipal water companies can't soften the water before they send it out as it would just become hard again by the time it reached your home, so it's up to the individual homeowner to remove the calcium before it flows into the house. The most conventional, and likely the most popular softening method, is a salt (brine), system. Before the water enters your home it flow through a meter which keeps track of the number of gallons used. From the meter the water is pushed through a media bed of tiny plastic beads. It is inside this media bed where an Ionic exchange takes place and the hardness (calcium) sticks to the plastic beads. The product water is free of hardness and won't cause build-up in pipes, washers, coffee makers, water heaters or shower heads. When the water softening meter hits its predetermined number of gallons (based on the size of the family), it "regenerates," or cleans the media bed by pumping a salt brine solution into the plastic beads, which releases the calcium deposits and flushes the hard water into the sewer. Culligan and Rainsoft are large companies that have been in business for decades. They will each tell you their equipment is the best, but the fact is water-softening equipment is all about the same. If you have a large family you'd probably want to purchase a larger media tank to reduce the frequency of regeneration, but the media beds are the same and the fiberglass tanks are the same. Warranties are also similar as they are usually backed by the maker of the tanks and valves. Probably the most important element in the system is the water meter--buy the best available. Culligan and Rainsoft compete against one another on a daily basis and they are well aware of the other's prices. 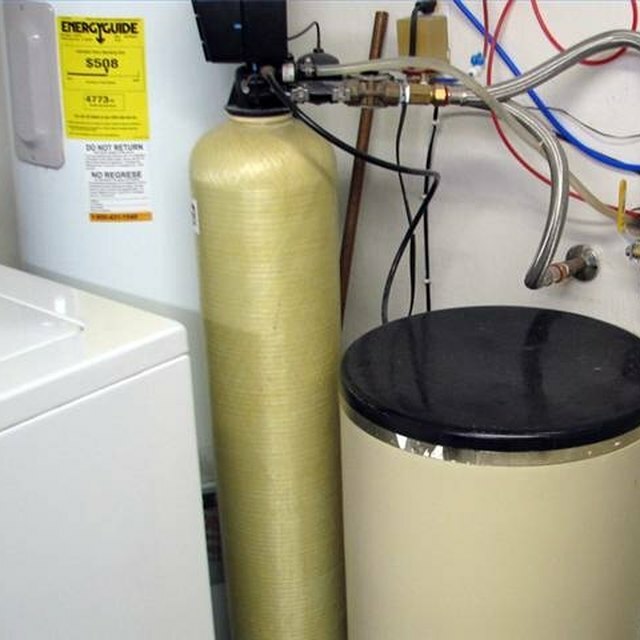 A typical whole-house water softening system costs in the area of $2,000 to $2,800 installed. Keep in mind that the salesman who visits you house to convince you to buy works on commission only and his cut is several hundred dollars per sale. Rather than spend $2,500 on a softener sold by either of these corporate giants, Do-It-Yourself centers now sell almost identical systems for $400 to $1,200. A handy homeowner can install the system himself, or a licensed plumber can do the job for around $100 on a house that is pre-plumbed.